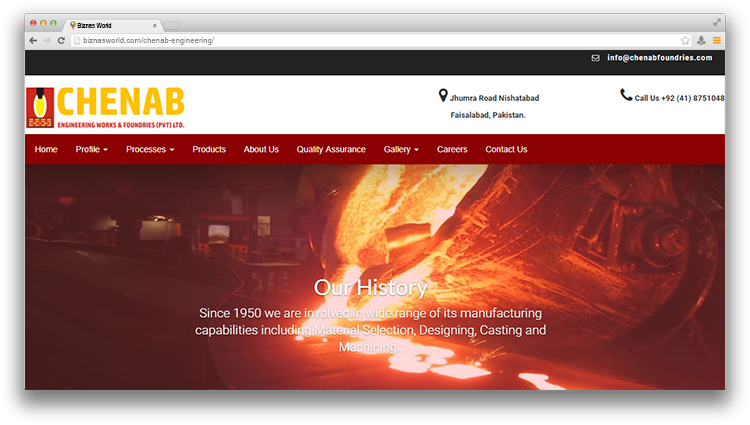 Description Chenab Engg & Foundries (Pvt) (Ltd) is located in Faisalabad, Pakistan. Company is working in business activities. Address Jhumra Road Nishatabad Faisalabad.